New Brewers Performance reproduction shifter boot fits 1967-1976 A-body cars with pistol grip/ rectangular Hurst shifter handle. 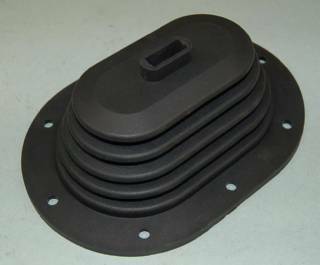 Also works as under console boot on 1968-71 A-body console cars, and works on 1976-87 Dodge trucks (rectangular handle) with A833 overdrive transmission. Uses our shifter boot bezel SBB393.